Over the years, fixie bikes have caught on especially among urban cyclists. A fixie bike is a bicycle with a fixed gear or a fixed wheel. This simply means the bike has a drivetrain which does not accommodate the freewheel mechanism. Fixie bikes actually refer to fixed gear bikes. These are bicycles that have their cogs tied directly to the motion of their pedals. The cog is the small gear that can be found attached to the rear wheel of the bicycle. The cog is usually fixed to the rear wheel and has no bearings on a fixed gear bike. Because of this, fixed gear bikes would move forward when you pedal forward and backward when you pedal backward. Also, fixie bikes are significantly lighter than other bikes. This is because they don’t have as many parts as other bikes, allowing riders increased maneuverability. Fixie bikes are loved for their simplicity. In order to pick one, you need to understand its features. Doing so will set reasonable expectations ensuring you avoid disappointments after purchase? Though there are many options available, we shall only discuss the best fixie bikes. The Pure Fix looks just like any other conventional fixie bike. Its handlebars, wheels, and frames all combine to give it the appearance of an urban fixed gear bike. This brand comes in 30 unique color schemes ranging from all black to brighter color combinations. The Fixie Bike’s appearance contributes to its charm, so having different color schemes to pick from is an advantage. The bike weights between 22-24 pounds when it is assembled, so it is pretty light for a fixie. Its saddle has a velodrome style that gives riders comfort combined with a cool racing feel. The alloy 30mm riser handlebar also provides the rider with added back comfort while maintaining a competitive riding position. The Pure Fix Bike also has an alloy hub with closed bearings that keep the internal parts clean and dry. You can also turn it to the other side to use the freewheel cogset if you prefer freewheel riding. The rubber grips also provide a safe and robust feeling while also providing a soft handhold while riding. The bikes gear ratio of 44:16 is perfect for riding in urban areas. Promax brakes help to break the bike speed while a 74.25 KMC Z-410 helps it move. Its durable BMX style pedals give extra full coverage. One of the biggest things about this bike is its appearance. From its tires to its frames and handlebars, all parts have a particular aesthetic style that makes it recognizable as a fixie bike. A large number of colors available also give riders the opportunity to pick their preferred color combination. Bikes with steel frames might not be a popular choice but the build of the Pure Fix’s frames maintains its lightweight without compromising stability. The quality and affordability of the Original make it a favorite choice for both amateurs and pro riders. 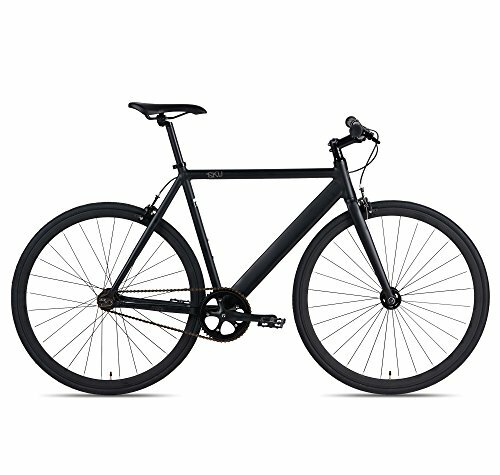 This fashionable and urban fixie bike is perfect for any city rider. Its hubs and anodized wheels give the bike a special look. You can turn the bike into a freewheel by switching the rear hub. 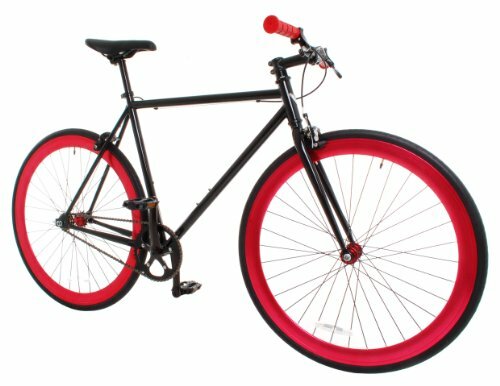 The Vilano Rampage fixie bike also gives you the ability to change from a single speed mode into a fixed gear by simply turning the back wheel. This takes little or no effort and helps you cover more distance without wasting a lot of energy. You can switch the bike when you are on level ground and flip it when you need to get up a hill. The bike frame is also made of high tensile steel to make sure your bike would last longer. The more prominent tires give more contact with the road making pedaling easier. If you’re a city rider, then you should definitely consider this bike. Its wheels are designed to survive on city roads and pavements without suffering wear or tear. The crank is forged with alloy to make the bike more durable and tougher. It also has a replaceable chain ring in the event that you would need to change it when you are on a ride. It is designed perfectly for those who want to optimize their bike pedals without wasting energy. For its price, this bike is a beautiful product. Its qualities make it perfect for city riding. 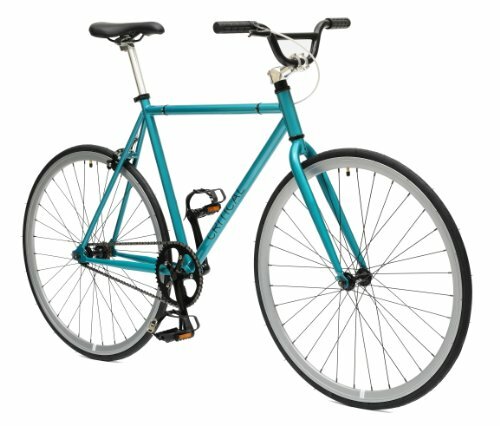 The best attributes of this fixie bike are its stability and durability. It is also very easy to maintain. An excellent option for someone searching for a commuter bike. This bike gives you some of the best features available for a fixie bike. It comes in various unique colors and 5 different sizes to ensure that your personal tastes are met. You get brand name components with each bike along with steel frames. You can also change it from a fixed gear bike to a single speed bike simply by turning a wheel. You can rest assured that the Critical Cycle Fixed Gear bike is made up of brand name parts. To ensure the durability of all the products used in the producing of the bike is trusted products. With Pro-Max Brakes, KMC Chains, Wanda Tires, Well-go Pedals and other big brand products this bike is guaranteed to be reliable and durable. 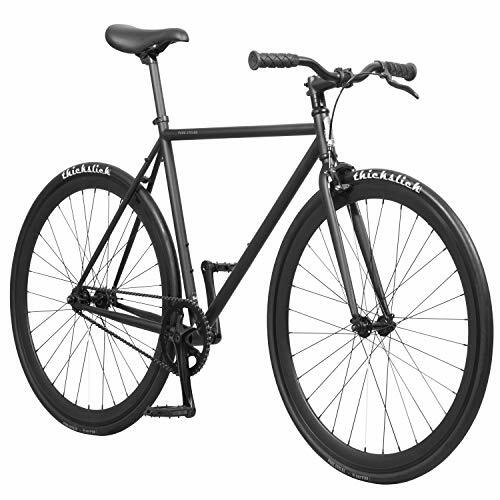 The Critical Cycles Fixed Gear Bike has a premium Hand-Built track steel frame. Along with horizontal dropouts, flat top tube, and a bar-spin clearance. All of these make the bike perfect for riding on the beach, in town, trying out stunts, or even going to work. The bike also includes a toolkit providing riders with some necessary tools to set up the bike after purchase and others to help maintain the bike while you make use of it. What makes the Critical Cycles Fixed Gear Single Speed Fixie Urban Road Bike stand out among other bikes is its variability in color and size. You can select a good bike to suit your personality, size, and style all of these make this bike excellent for all riders. 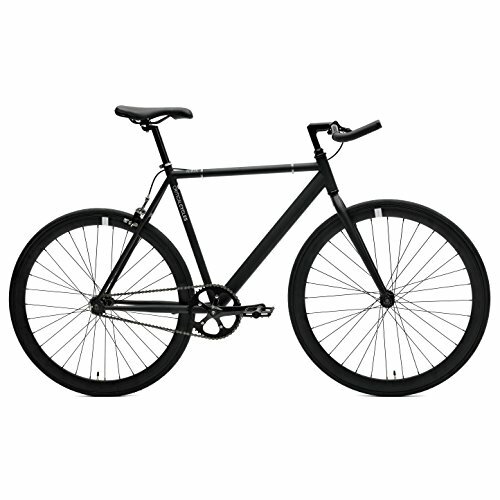 6KU is renowned world over for producing top of the range fixed gear bikes. Their model is simple: manufacture accessible fixie that is affordable. The 6KU Aluminum Fixed Gear Single-Speed bike embodies this model. The bike is quick light and durable. It is both street and track, a true classic hybrid. The bike has a drivetrain with a gear ratio of 46:16 for more top end speed. It has a frame inspired by a track design that is made using smoothly welded double butted 6061 aluminum alloy. It has an angled rear chain stay and flattened tubes. The bike also has Kenda 700c 25 inch tires with front and rear brakes. The front and rear brakes are impressive and they can make the bike stop on a dime. They can also be removed easily should there be a need to. The bike’s wheelset is 30mm deep and is made using V double alloy rims with a flip-flop hub. The flip-flop hub enables a rider to run the bike using either a standard single speed free-wheel mode or as a fixed gear. The tread on the tires is minimal hence the ride is smoother with improved grip. The bike comes in different bright colors giving customers multiple options to choose from. The color options are more of sleek than bold. In terms of size, the bike is between 47 – 61cm long 18 – 22 pounds heavy depending on the size you choose. The gear ration of the drivetrain ensures it achieves impressive top speeds. As such this bike is ideal for speed enthusiasts who like flying down the road. It is the reason for that the bike is equipped with a double braking system brakes at the front and the rear wheels; which is quite efficient. The low weight of the bike makes it nimble and easy to maneuver. The bike is also stylish and modern. The pedals on the bike are awfully large. They also feel cheap bike in its price range. The Urban Track’s saddle does not consider the many riders who have different preferences as it comes standardized. The Takara brand introduced this bike as the flagship bike for Takara’s single speed bike line. It is an entry level bike designed for long trips. As such, it is best suited for use as a commuter bike. The bike has a strong, tig-welded steel frame and fork that is handcrafted with a 54cm top tube. It has horizontal dropouts that can take the pounding associated with riding through city paths and roads. The bike weighs an astounding 295 pounds. This bike also has a flip-flop hub similar to the Urban Track bike. The bike comes equipped with 32 hole alloy rims with Kendra 700’32 tires. The wheel system is backed up by alloy side pull brakes which enhance motion on the bike ensuring you can lose speed at will. The standover clearance of the bike is 31 inches. This bike excels at what it was designed for a commuter bike with both freewheel and fixed gear options. It provides a ride with sufficient comfort. In terms of longevity, the bike lasts for a long period of time. The choice of a tig-welded steel frame over an aluminum frame means that the bike will be stronger and able to withstand the kind of beating and pounding associated with riding through city roads and pathways. The bike has a unique design and a simple build. The bike comes in multiple bright colors which makes it safer for the rider as other road users will quickly notice he or her. As stated above, the standover clearance of the bike is only 31 inches. This limits the number of people who can ride the bike. Such a clearance can only accommodate men and women between 5 feet 8 inches and 6 feet 2 inches tall. There have also been reported instances where riders had issues with the spokes and tires. This is probably because the tires are thin. 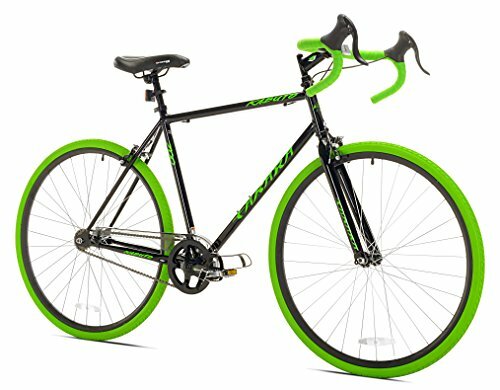 Should you decide to get this bike, you should consider getting replacement tires. Critical Cycles designed this bike with the aim of outperforming other bikes in the same price range. The bike has a bullhorn that adds to its aesthetics. The bike has a vintage steel frame made using high-tensile steel and a bullhorn handlebar. The bike offers basic colors to choose from ensuring it stands out and is easy to pick out when riding. The bike weighs just under 30 pounds and is between 43-60cm long. The bike is also equipped with a flip-flop hub similar to the other two already reviewed above. Its wheelset is made up of Kenda 700c 28 inch tires with Promax brakes. The bike also has a single rear handbrake for extra braking in tight scenarios. Considering the features on the bike is a bargain for its price. The Wanda tires are tough adding to the longevity of operation of the bike. The steel frame is built smartly ensuring it is not too heavy to make the bike feel bulky. In fact, it offers the bike lots of rigidness and stability. The bullhorn handlebar feels a bit too short when riding. The design of the handlebar somewhat restricts riding to once in a while and casual as opposed to regular riding. The six bikes reviewed above stand out each bike has features adapted to the specific segment of riders for whom it was designed. The level of thought put into the bikes is quite impressive. They are tailor-made for the riders meant to use them. Though there are many other fixie bikes out there, these bikes deserve to be named the best fixie bikes currently available. Riding on a Fixie bike gives the rider a deeper connection with his bike. One must learn how to move by changing direction instead of speed. No matter what your bike tastes are it is undeniable that fixed gear bikes are fun.